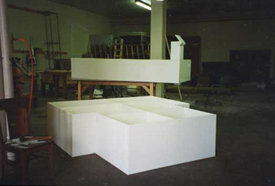 BAKER PLASTICS is a full service custom fabricator. Acrylic Podiums, Brochure Holders, P.O.P. 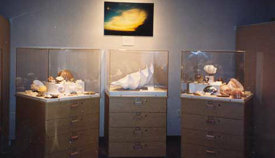 Displays, Museum Cases, Machine Guards, C.N.C. Machining, Plastic Welding, Custom Poly-Tanks, Complete store fixtures including Cabinetry, Counter Tops, Food Displays and Signage is a partial list of our products. Call or email with your questions or fill out our short "Custom Quote" form and we will respond within 24 hours. Copyright 2000 Baker Plastics, Inc.